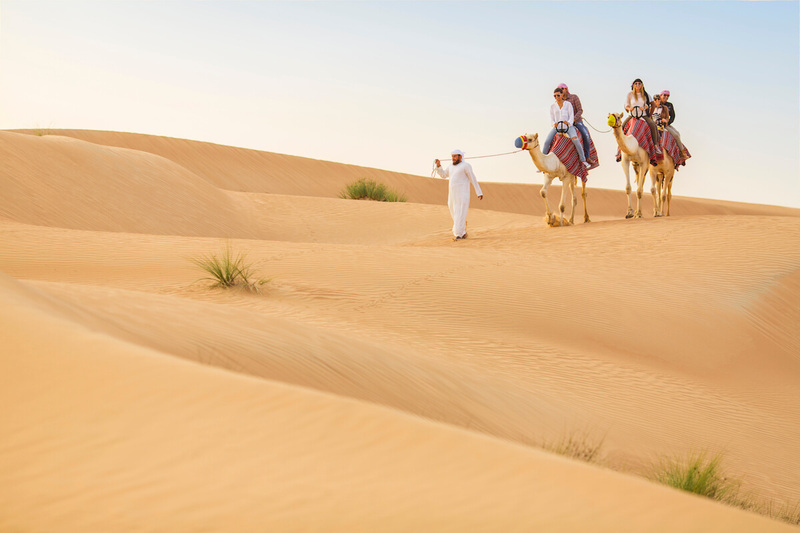 Are you considering a Camel Desert Safari when visiting Dubai? Do you want to know how the camels are looked after? Camels are an important part of the Emirati cultural heritage. For centuries, these ships of the desert have served Emiratis in a number of ways. Traditionally camels are loyal travel companions and modes of transport for Bedouin traversing the desert, their nourishing milk is still considered a health elixir and camel meat provided food which was scarce in the desert. Nowadays the camel is still highly regarded and seen as a symbol of Dubai’s cultural heritage. This strong cultural connection to Dubai, makes encounters with camels very attractive for tourists. Watching a camel race, visiting a camel farm or enjoying a Camel Desert Safari are some of the ways to understand this connection. Unfortunately, many camels are exploited by companies or individuals as merely profitable tourist attractions and are not looked after properly and overworked. At Platinum Heritage, the wellness and treatment of our camels is of high importance to us. They all live together at a lovely designated farm in the area. They are showered every day with medical shampoos – this keeps them healthy and clean. They all have medical reports and receive a doctor’s inspection monthly. They receive vaccinations, blood tests, general check-ups, and any medicine/vitamins needed to maintain their health. They are fed twice a day in the morning and afternoon and given lots of water. Their food is high-quality alfalfa grass usually used for racing camels. It is high in protein to enhance performance. Each staff member gets their own camels which they are responsible for and they take this job of looking after their camels very seriously. Our saddles are a soft spongy material which ensures that the camels are very comfortable. They have rest days and on working days they are only ridden for maximum 1 hr in the afternoon or morning. If you would like a like to meet some of our much-loved camels like Titi and Sheila, come join us for a traditional camel experience. 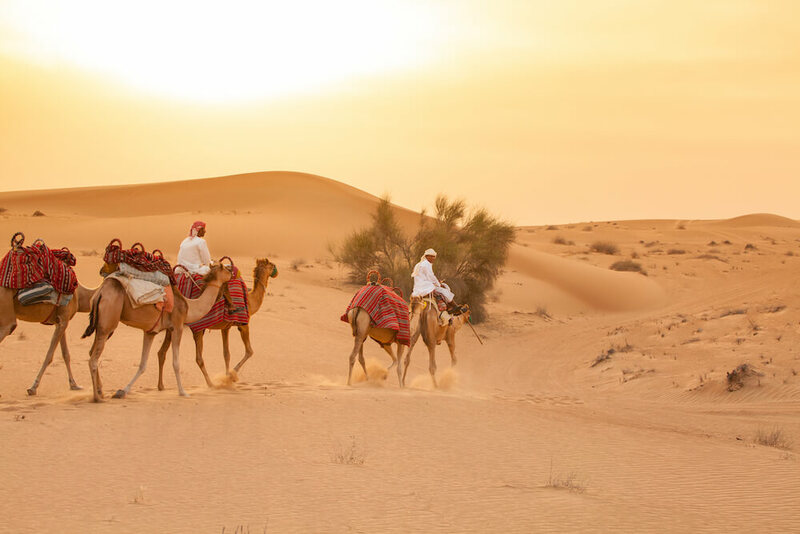 This Camel Desert Safari includes a 45-minute camel ride followed by other cultural activities like falconry, wildlife spotting and entertainment.